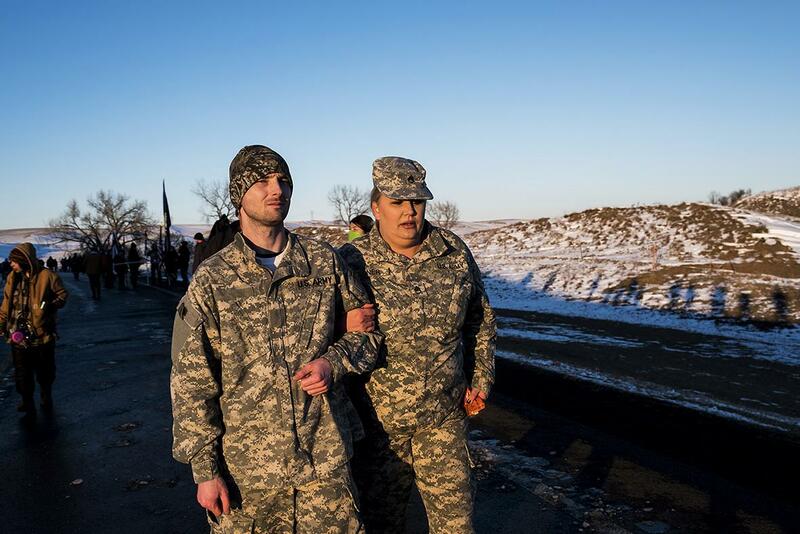 These Standing Rock veterans are willing to put their bodies on the line. 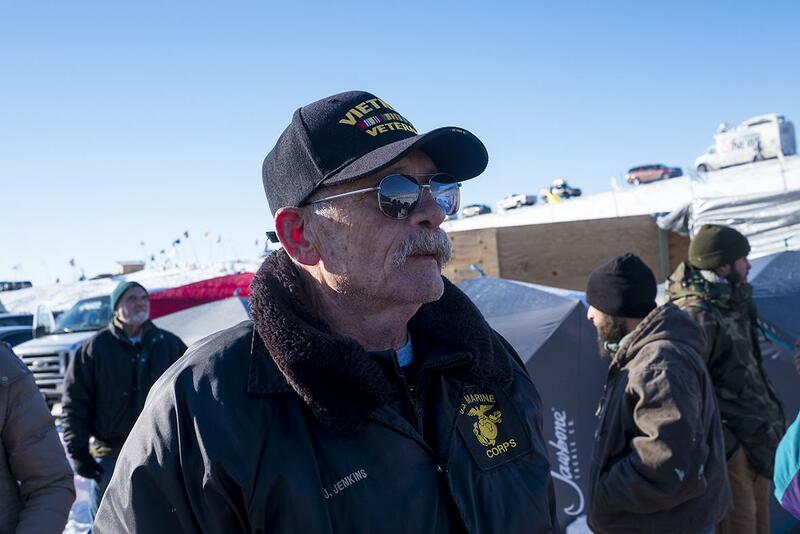 These veterans at Standing Rock are so disillusioned by traditional politics they didn’t vote. But they still think American ideals are worth fighting for. Kash Jackson is a square-jawed Navy vet with a crushing handshake. On Nov. 8, he cast his vote for president—for someone who wasn’t running. 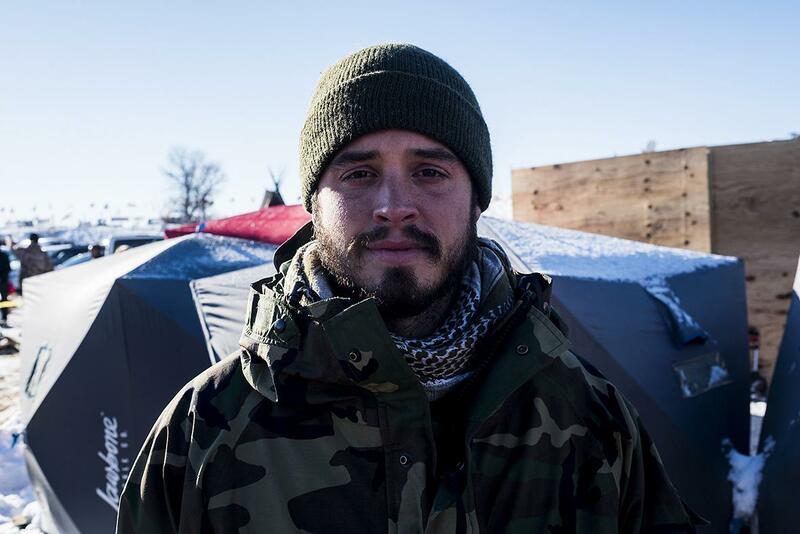 Jackson may be disillusioned about the election, but less than a month after voting, he traveled from his home in Louisiana to the Standing Rock reservation in North Dakota. 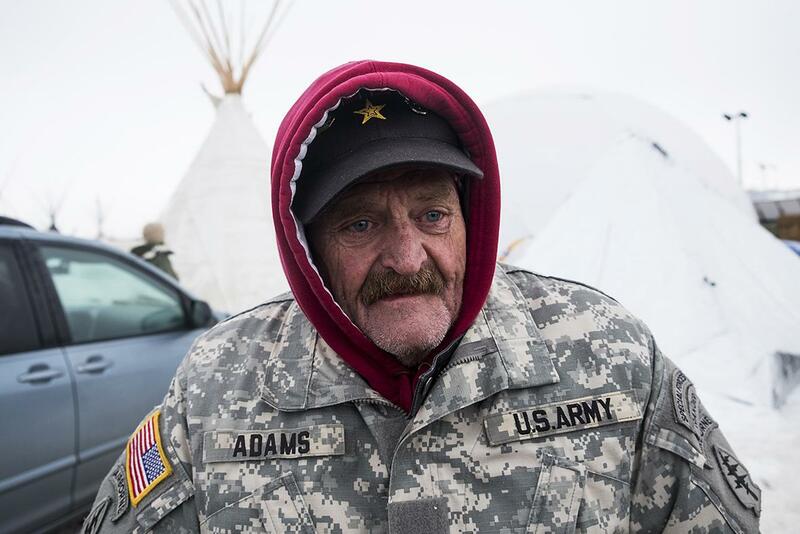 There he joined more than 2,000 other veterans who had arrived to show solidarity with—and provide protection for—the Sioux and protesters from as many as 700 different tribal nations who had been camping in the area for months. 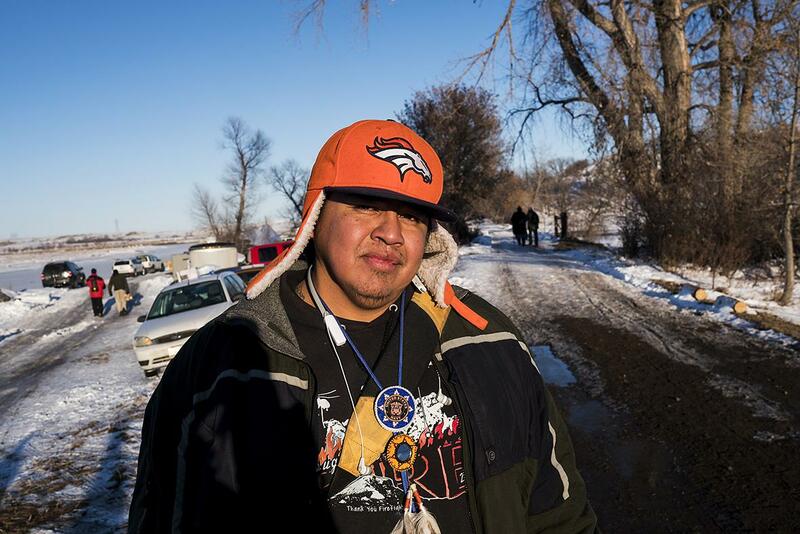 The tribes have gathered to stop the construction of the Dakota Access Pipeline, a massive piece of infrastructure that already crosses over Sioux ancestral lands elsewhere and could pose an additional threat to their water supply (if completed). The day after Jackson arrived at the camp, the Sioux won a temporary victory when the Army Corps of Engineers announced it would not grant the pipeline the permit it needed to continue construction on the land in question and that it would instead take more time to assess alternative routes. 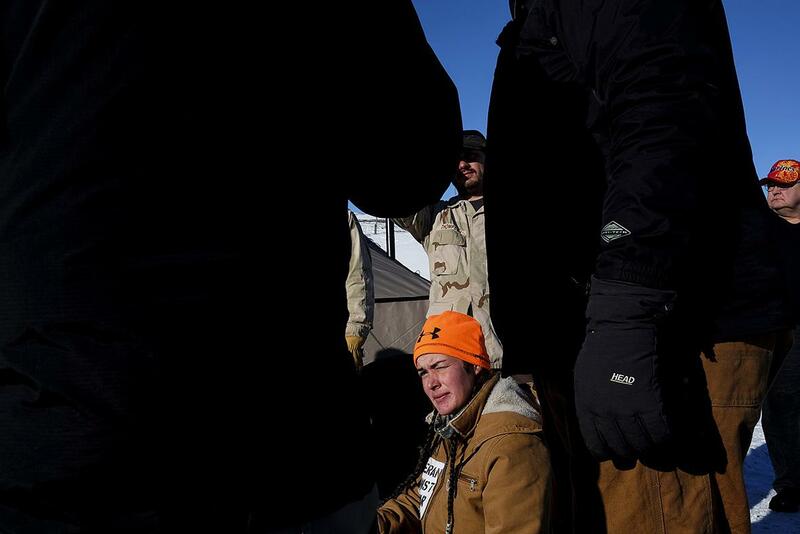 In recent weeks, Standing Rock has become a point of focus for liberals devastated by Donald Trump’s election victory, providing something to root for in the dark weeks leading up to the inauguration. But most of the protesters here have no use for mainstream politics. 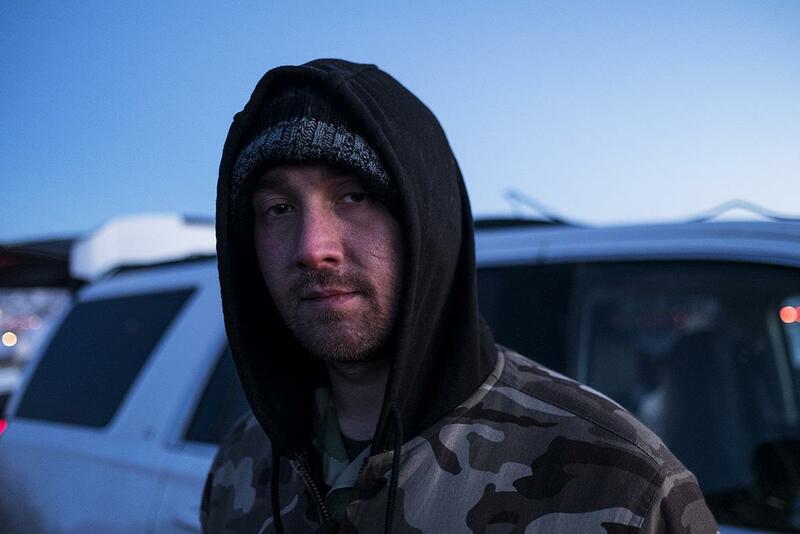 On Nov. 9, when many other places were reorienting to the news of the biggest election upset in recent memory, the protesters at Standing Rock hardly noticed (some didn’t hear the news until around mid-morning due to bad cell service). They speak of Hillary Clinton and Trump with equal disdain. 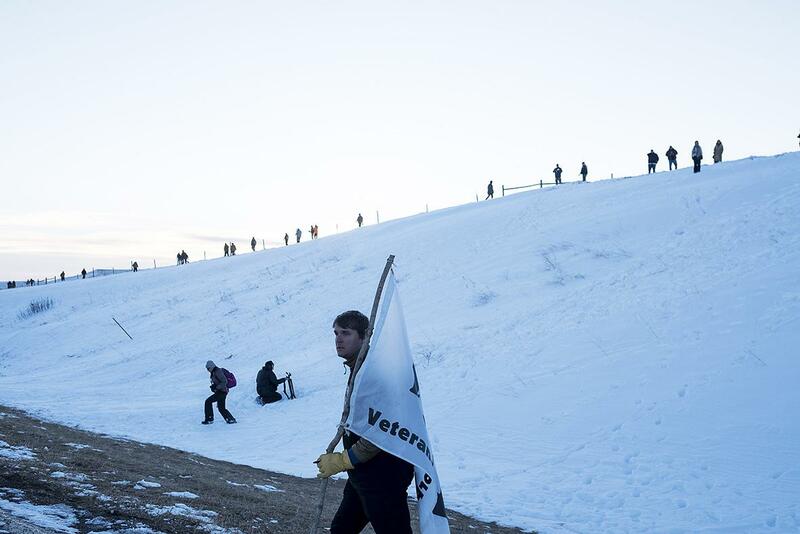 The vets, arriving in fatigues and carrying Army bags, stood out from the Native Americans and dreadlocked college kids. But when it came to political disaffection, they fit right in. Hardly a single vet I talked to admitted to supporting Trump or Clinton. 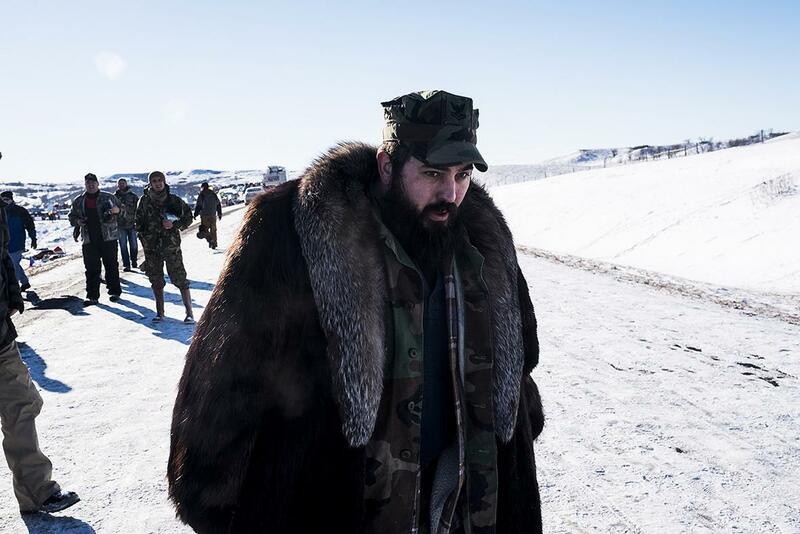 Their explanations of why they came to Standing Rock are a stark reminder that the protesters are hardly united in their defiance of Trump. When it comes to why they’re here, politics—at least, of the recent-election type—didn’t register. 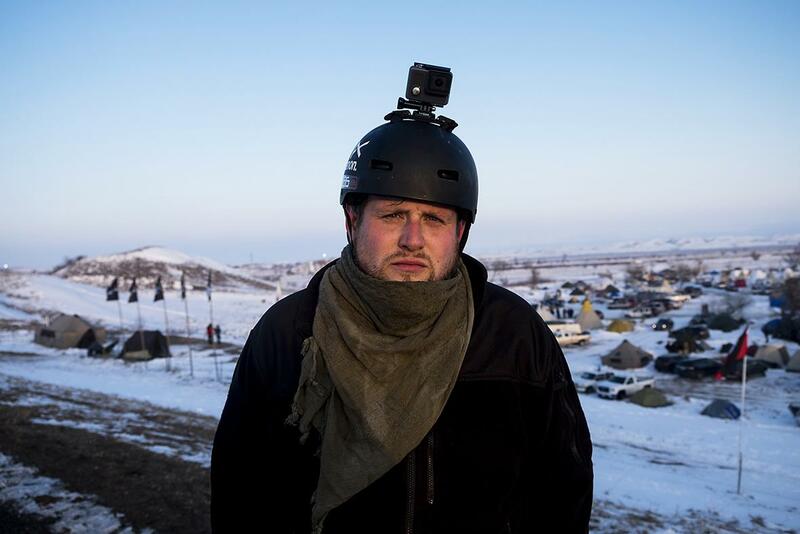 Instead, many said they had come to Standing Rock because they were outraged by images of police violence against protesters and reports that law enforcement had used rubber bullets and concussion grenades against them. Gryzwa voted for Gary Johnson. 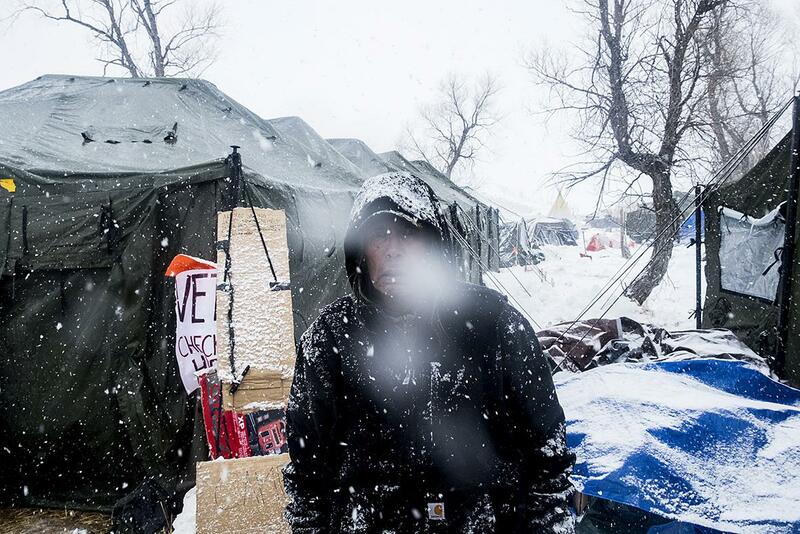 The camp at the Standing Rock Reservation was established in April by leaders of the Lakota Sioux. 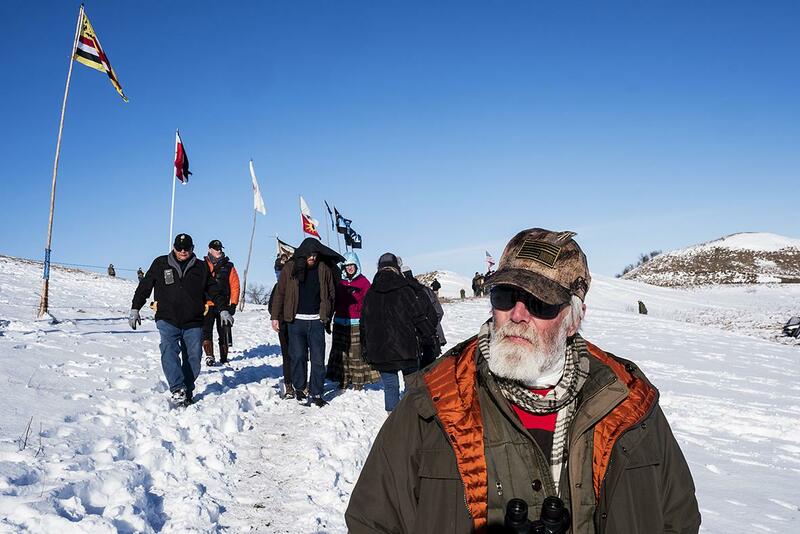 There has been an influx of people from around the country, particularly environmentalists, but the protest has remained Native American–led and centered. 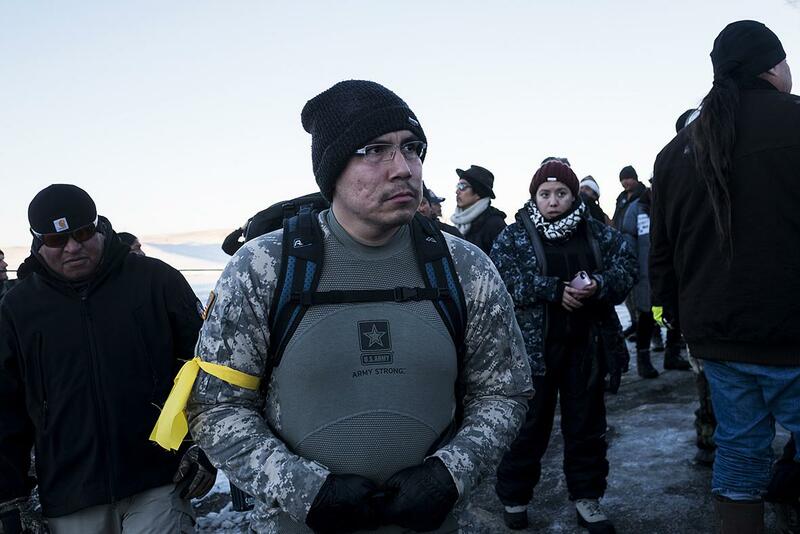 Not surprisingly, among Native protesters, distrust of politicians is more or less total. Standing Rock certainly didn’t get much attention during the campaign. Hillary Clinton took essentially no position on the pipeline. 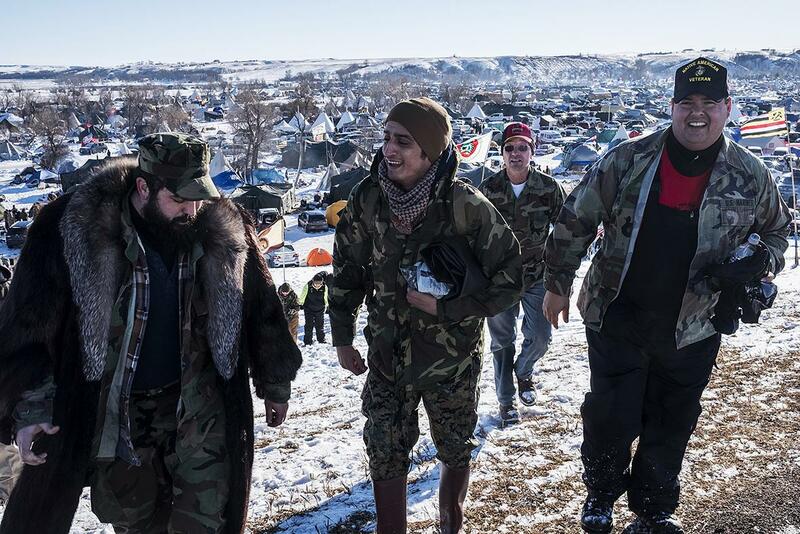 Trump has expressed unambiguous support for DAPL and, in fact, may have a financial stake in its completion through his investments in companies that own the pipeline. It’s hard to blame them for their apathy. “This is about 500 years of history,” said Chief Matthew Black Eagle Man from Kentucky, echoing a common sentiment. “It feels good to finally stand up and demand justice.” He’s not a veteran, but had a similar disinterest in discussing politics—at least, of the recent election sort. It was a striking speech to hear from a general’s son speaking on behalf of veterans. 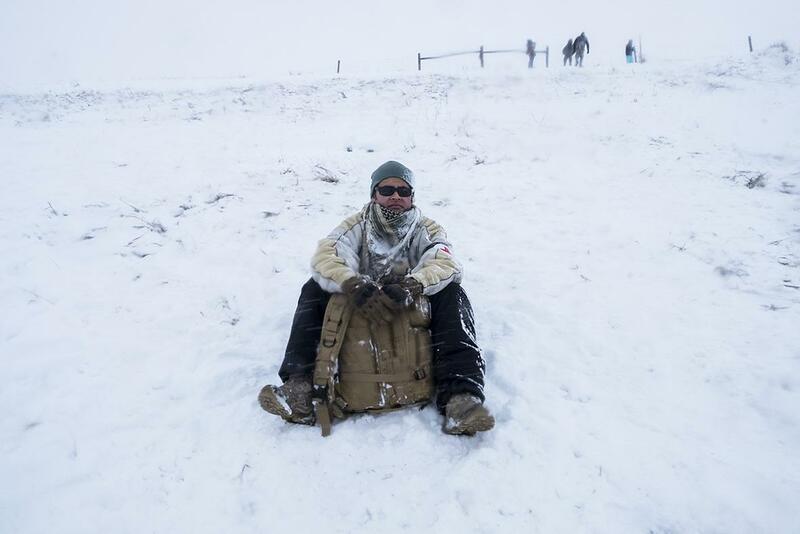 But the politics of the veterans at Standing Rock are nothing if not confounding: These are men and women who will drive 20 hours to North Dakota, march in the freezing cold and snow, possibly be pepper-sprayed and beaten, but many can’t be bothered to vote, or at least vote seriously. 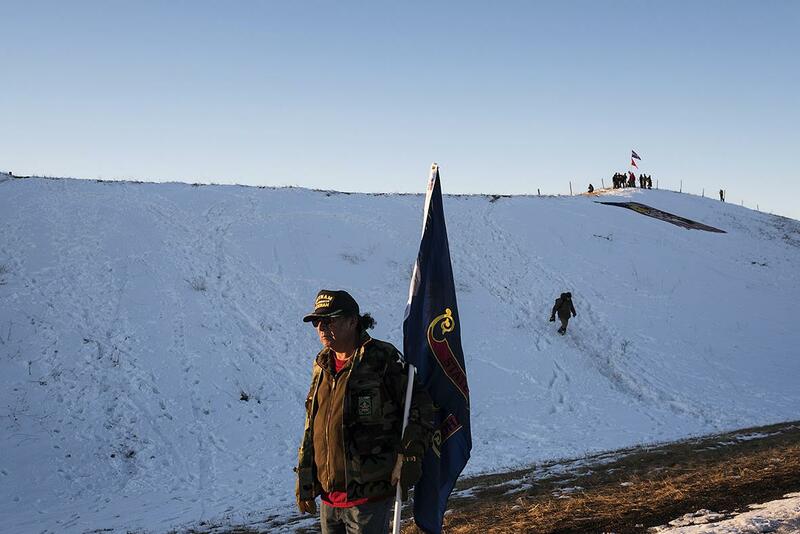 Still, the reasons they gave for being there demonstrate a commitment to fundamental American rights: to defend the Constitution, to protect innocent civilians, to protect water. They may have lost their faith in our politics, but their actions are still plenty patriotic.